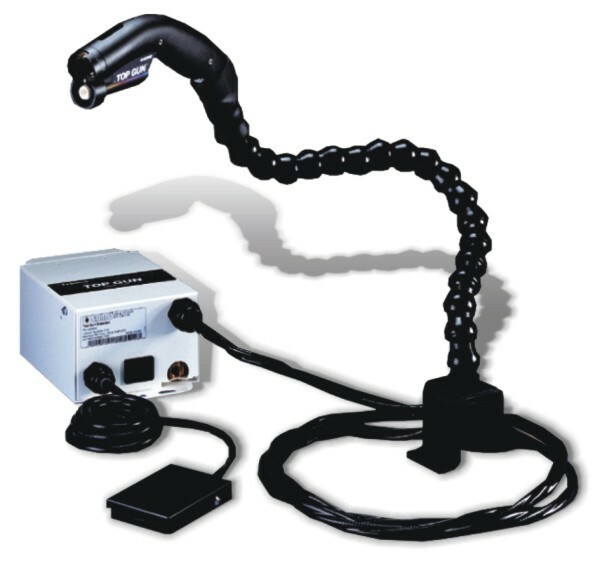 Where grounding of some equipment or parts of equipment through traditional earthing techniques is impractical, where it is impossible to exclude all charging materials from the area, the use of suitable ionizers is highly recommended. Air ionization systems work by flooding the atmosphere with positive and negative ions. When the ionizated air comes in contact with a charged surface, the surface attracts ions of the opposite polarity. As a result the static electricity that has built up on products and equipment is neutralized. Ions do remove small particles or smoke and pollens from the air, and subjective research suggest that people working in ionized area are happier. The generated ozone is lower than 0.005ppm after 24 hours accumulation, conform to OSHA requirements. The smallest and most versatile blower available for equipment or local area ionization. It is ideal for use inside or on top of production equipment. Battery operated model is very useful on field service call. Controls static discharge in mid-sized areas, it is indicated for general workbenches applications, conveyors, equipment. 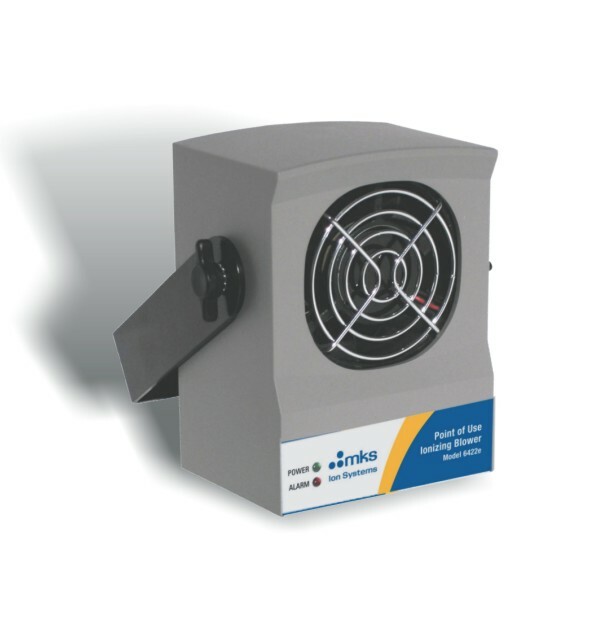 High performance compact ionizing blower, features an adjustable air flow speed and integrated heater. Suitable for workbenches, conveyors, robotics, packaging. The Turbo Blower is designed to achieve full control in any environment, it is ideal to cover large areas. 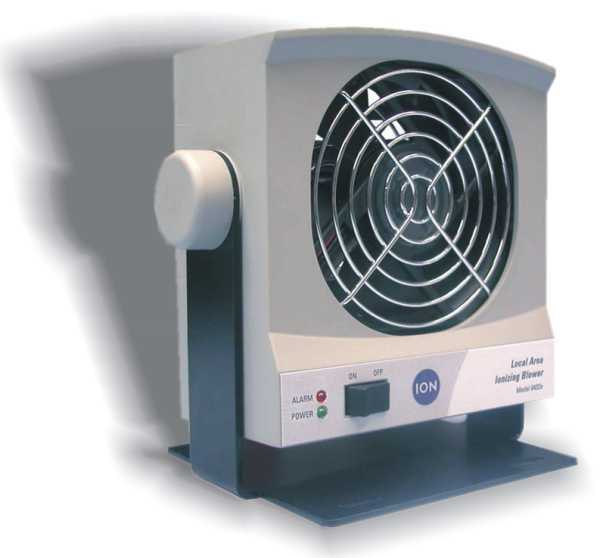 The fan can work at 3 different speed and has heater incorporated to grant a good comfort (heater can be turned on or off). Easy cleaning of the emitters using the button "Emitter Clear Button". The decay time is minimum due to the high performance of this ionizer. It is a 3 fan smart ionizer that provides reliable, adaptable performance in the most static-sensitive environment. Designed for mounting over the benches, conveyors, it allows a complete 3D neutralization of the static charges, without compromising space over the table, and in the most comfortable environment. Equipped with 3 fan, adjustable air flow, heater, 13W twin tube fluorescent light, and emitter cleaning system. 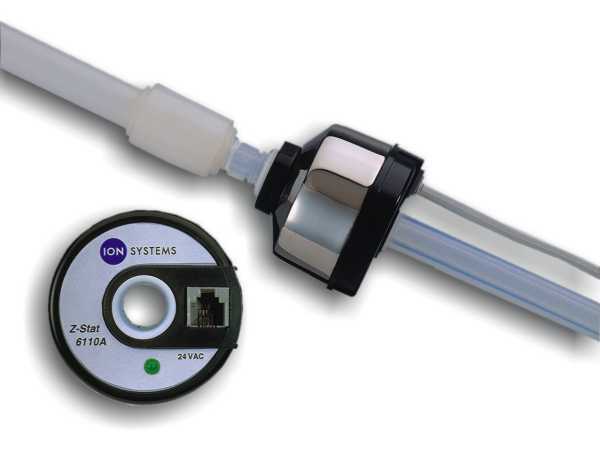 This ionizer has been designed specifically for critical clean room environment, up to Class 10. It is powerful and efficent with a minimum decay time. It is normally used suspended over the benches, conveyors and assembling areas. Equipped with 3 fan, adjustable air flow, heater, and emitter cleaning system. Available in 2 version, with 2 or 3 fan. Usable also in clean room, ergonomically designed, light, it is used to blow off charged dust particles from electronics cards and other equipment or materials. Designed for heavy duty jobs, due to its high performance, reliability and durability. There is a flow control valve to adjust airflows for the specific application. 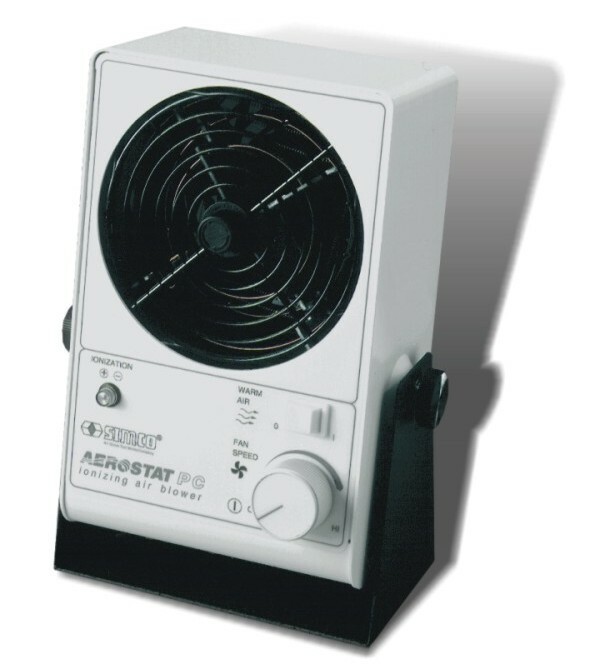 It is completely ESD and can be used even in clean rooms. 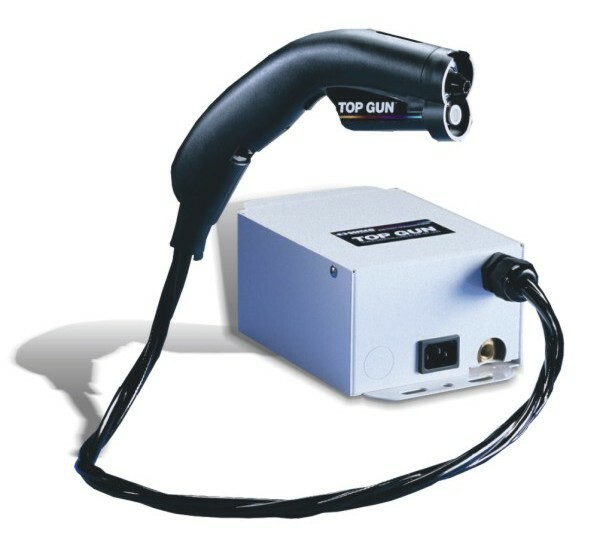 The version with sidekick allows "hands free" operation. Air input: adjustable to 100 psi (7 bar) max. 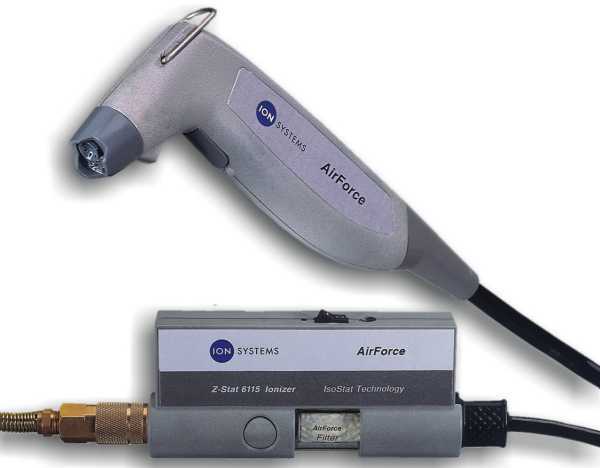 The cartridge can be used either for in-line ionization or as ionizing blow-off gun, adapts to compressed air lines. 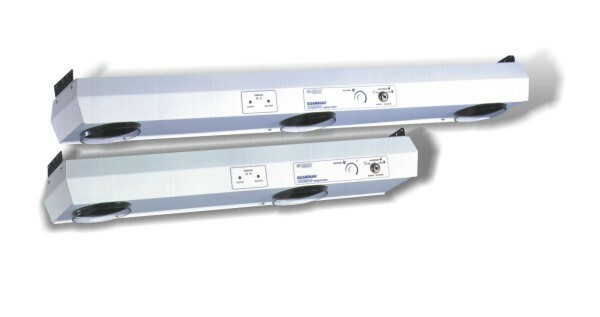 Two models available, one turns off ionizer when air is not flowing.